Established in 1979 Riley Custom homes & Renovations is a fully licensed and insured general contractor. Quality, integrity, and vision, these three words speak volumes. They represent the philosophy that guides every project that Riley custom homes & Renovations undertakes. Uncompromising quality and superior customer service are the guiding principles, from foundation to paint. Excellence in architecture requires an architect with the experience, vision, and understanding of the building process as a whole. The firm of Christine M. Dayton Architect, P.A. has this expertise. Our design team creates quality building projects that meet the specific needs of each individual client. Working with residential and commercial projects, whether new construction, additions/renovations or historic restoration, our team is both highly experienced and dependable with over 21 years of experience. Our team takes pride in producing buildings that are not only aesthetically pleasing and compatible with the surrounding community, but functional, within budget, and delivered on time. Licensed in the State of Maryland and the District of Columbia, Christine serves both public and private clients. Her experience working within different jurisdictions, locations, states, geographic areas, climates, and her broad experience in building types, construction techniques, and restoration methods allow her to meet each project's needs and produce clear documentation for the builder's use. Active listening is our greatest tool. We listen closely and carefully to our clients. Sometimes clients know exactly what they want and we deliver on those hopes and desires. Sometimes clients need a little help nurturing an inspiration into a full-fledged design. By patiently asking the right questions and offering suggestions, together with our clients, we make dreams come true. We look forward to having the opportunity to transform your dreams into reality! Shane and his team have received repeat acclaim for outstanding remodeling projects and excellent craftsmanship. Over the years, homeowners throughout Maryland have put their trust and confidence in Zwingelberg & Son Remodeling’s award-winning design and dedication. We have built a reputation for quality work and excellent customer service and it shows — over 90% of our business comes from repeat customers and the friends they have referred to us. Without ever compromising our commitment to quality, we make every effort to ensure your home renovation is a comfortable experience. We give each client our undivided attention and together, we develop a goal, timetable and budget that works for everyone. Paragon Contracting is a general contracting company originally from Arnold, Maryland. It began with the idea of providing custom and quality work at fair prices to family and friends in need of construction and remodeling. The idea then manifested. After a lot of thought, planning, and hard work; we became capable of providing the same quality and custom work to anyone in Maryland! 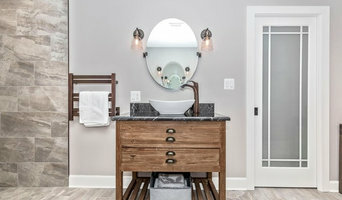 The crew at Paragon Contracting is dedicated to satisfying YOU; and providing you with a unique, exciting, and stress-free experience when undergoing any construction or remodeling project in your home or place of business. This is completed through the "in-house" employees at Paragon Contracting that all maintain the same genuine concern about their projects as you do about your own home or place of business. The Post & Beam Design\Build Family understands that a home is a significant investment. With this in mind, their design team is careful to work side-by-side with the homeowners in identifying their desired products. 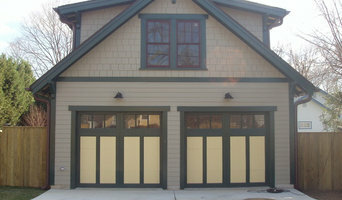 Then helping them with selections that are budget friendly throughout the entire development of their custom remodel. Ronald Johnston and Associates, Architects is an architectural firm specializing in residential architecture for both private clients and builders. 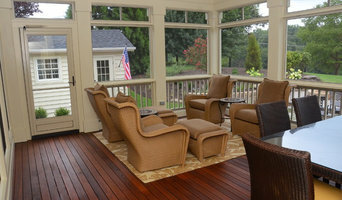 Having practiced in Maryland for over 20 years, Ron's projects include a wide range of both custom and production single family detached homes, multifamily (townhouses), residential renovations, additions and alterations, and active senior housing, as well as the occasional small commercial project. The firm's work also includes approximately 20 new homes or substantial additions located in designated historic districts. Ron is a registered architect in the state of Maryland with almost 20 years in private practice, holds his M.Arch degree from U of M, and is a LEED Accredited Professional. He was awarded a full-term Graduate Fellowship to the University of Maryland School of Architecture, where he served as a student representative to U.M. Facilities Master Planning/Technical Committee, authored a successful research grant proposal to design and build an artificial sky dome to test scale models of daylighting designs, and received the Maryland Architecture Alumni Chapter Award and endowment. Various of his projects have been selected for design awards by the Homebuilder's Association of Maryland or been displayed at the University of Maryland School of Architecture Alumni Gallery Exhibit. The Pursuit of Relentless Design. At JND, we utilize our collective skills in architecture and digital fabrication to provide a range of services and products within the construction industry. We specialize in innovative thinking for leveraging the built environment through transmaterialism. Our vision is to embrace projects with inclusive collaboration as we push the values and technologies of our time. We invest on our design solutions in hopes to better society and the environment. Tailored Design. Forward Thinking. Responsive Practice.